Good, better,BEST! How do you define the best office furniture money can buy? The best office furniture can be described as being gorgeous, intuitively designed, high end office furniture at discounted prices. Why are we offering you the best office furniture at prices even the budget conscious consumer will approve of? Because we can. 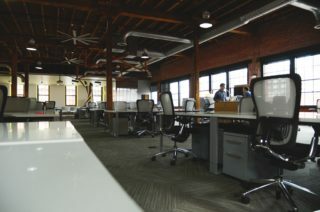 With over 20 years of experience outfitting everything from the home office to Fortune 500 office buildings, Cubeking has become so well networked, we are able to find previously owned, almost new office furniture from companies that are either downsizing, merging or moving, and offer it to consumers like you at a fraction of the cost of new. Welcome to Cubeking, an amazing collection of the best office furniture at the best prices in the nation. At Cubeking we don’t play games. We offer the best office furniture because that is all we buy. We’ve worked with numerous office furniture suppliers and learned the hard way that quality is of utmost importance to the consumer. Our experienced buyers have done the ground work and taken out the guess work, so all you have to do is decide on which style you like the best. Isn’t it nice to know that you don’t have to spend long hours doing tedious research? We know you want quality and we know you want great value, and that is what we deliver. Most consumers in today’s economy are continually working with shrinking budgets. We get it. We live in the same marketplace and are always considering the bottom line. Because we offer such competitive pricing for high end office furniture, Cubeking has become the “go to” company for the best office furniture in Orange County and throughout the nation. We know what the “best” is because we have seen what works and what doesn’t. We take the guess work out of the equation for you because frankly, we only buy the best. We’re not interested dealing with obsolete designs and office furniture that has lost its popularity. We want the best office furniture in the marketplace, because that’s what sells. The best office furniture is also difficult to keep in stock. Often, due to our unparalleled reputation for quality, inventory barely makes it to our warehouses when a buyer has re-directed the shipment directly to their office before we can even store it. Cubeking’s selection of office furniture is in constant flux as clients are calling us daily, almost in bidding wars to purchase high quality office furniture lines like Teknion, Stealcase, Herman Miller and more. The Aeron chair and the Mira chair, all-time favorites for the design and comfort conscious, almost walk out the door. Why? Because they are “the Best!” You were right to want the best office furniture money could buy. You just didn’t realize we could make you look good in more ways than one. Wanting the best doesn’t have to be a dream anymore. Call us today to help you make your dreams a reality.